Quieres ganar 4500 dolares por un trabajillo de verano? No es broma, si eres estudiante Google te puede pagar 4500 d�lares, seleccionando una de las propuestas de un projecto open source y apunt�ndote a Google Summer of Code, y si superas el proceso de selecci�n durante el verano Google te paga. He a�adido unas propuestas a la p�gina de la fundaci�n Apache, que me interesan especialmente, relacionadas con Maven, aunque tambi�n se aceptan las propuestas de estudiantes. Lee las preguntas frecuentes en la p�gina de Google y date prisa que se acaba pronto! Adem�s tras esta experiencia est� la muy probable posibilidad de trabajar para compa��as relacionadas proyecto open source, al menos es el primer lugar donde yo voy a mirar por nueva gente. No es una mala forma de hacer el proyecto de fin de carrera, o la tesis, y conseguir una experiencia que te ayudar� a conseguir un mejor trabajo y reconocido a nivel mundial. Are you student? interestend in getting paid 4500$ for a summer job? Join Google Summer of Code, choose one of the proposals (or propose yourself) from any open source project, and apply. I’ve added some proposals about Maven I’m interested in to the Apache Software Foundation list of projects. Be sure to read the FAQ and hurry, it ends soon! We’ve reached already the 5000 dowloads since the book was released officially, which was less than two days ago! Just to let you know that I have disabled the jroller comments and added links to haloscan, another way to write comments, because I always had problems not being emailed new comments and a lot of spam. Old comments are still available through the permalinks. It finally went out! 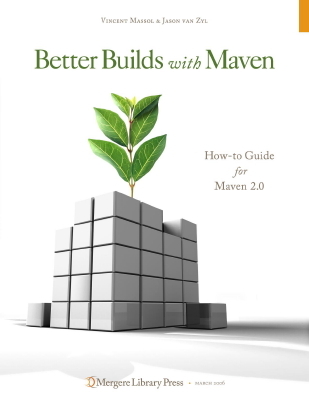 As I mentioned some weeks ago, there is a book about Maven 2 made by core developers, John Casey, Vincent Massol, Brett Porter, Jason Van Zyl, and myself. I think this is what the Maven community was waiting for, and I’d like to thank Mergere for the opportunity of working on it and the guts to make it available for FREE, like in free beer ;). 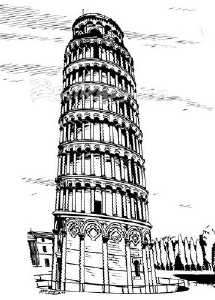 You can download Better Builds With Maven, and the chapters code (link is at top left corner). After meeting a bunch of the Geronimo guys, I’d like to say JBoss is dead, long live Geronimo ;), which BTW is migrating to Maven 2.